ThedaCare had outgrown a number of their clinic sites in Neenah and faced aging facilities in need of upgrading. After careful review of the situation, ThedaCare learned that one clinic would make the best use of resources and increase the level of care and convenience that could be provided to their Neenah patients. The new facility replaces its two family practice locations on South Commercial Street and on Tullar Road in Neenah and the endocrine and internal medicine clinics currently located at Theda Clark Medical Center. Merging of the primary care sites enables ThedaCare to provide lab services, X-ray, MRI, mammography and other diagnostic and screening services to a larger patient population. The current clinics did not have space for all of these services. 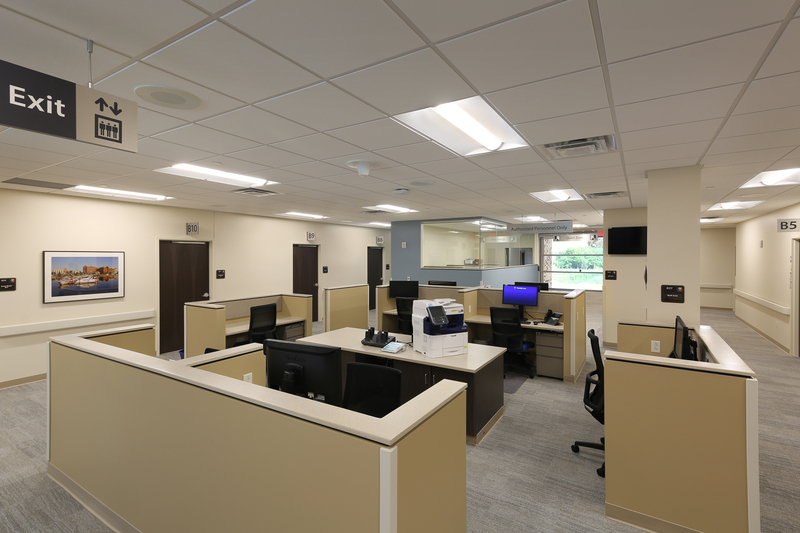 From a cost perspective, ThedaCare would not be duplicating services and equipment, and their Neenah patients will now have equal and convenient access to these tests all within one new clinic building, A Cancer Care Center is also located within the new facility. The main challenges to the development and design of this project were site related. Poor soil conditions, wetland issues and new regulations concerning Northern Long-Eared Bat habitat all had to be managed and overcome before a final design could be established and a final construction schedule could be defined. The new medical clinic is located at 333 North Green Bay Road in Neenah, Wisconsin with easy access from Highway 41 at the Winchester Exit. The building is a three story, steel structure with a skin of masonry, glass and decorative aluminum panels. The building is designed around a linear glass enclosed circulation spine along the north face of the building to afford for easy way-finding.